Description: 1879th-RESCUE A GIRL IN SEWAGE is the story of THE SERIAL KILLER – new escape game developed by ENA GAME STUDIO. The girl was kidnapped by the killer and hide her under the sewage. Previously we have saved a girl from factory. The place was fully covered with sewage water. Now its your responsibility to cross all the difficulties to save the girl from killer. 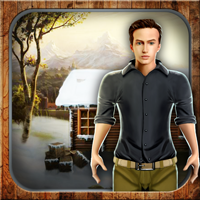 Search for hidden objects and find the clues to rescue the girl. Have fun and greater excitement on playing our escape games.